As a business opportunity, recruitment agencies are very suited to being offered as a franchise. A franchise is a business opportunity. You buy the right to use certain images, practices and information from an established business. Many well known companies are offered as a franchise opportunity, especially hotels and fast food restaurants. In the case of fast food restaurants, for example, a person may choose to buy a franchise instead of starting their own because there will already be a likely client base for a recognisable chain. They tend to pay (what can be a rather large amount) for the right to use the company name, have their products, access to their suppliers, etc. What is positive about franchises is often what can also be criticised. Many people prefer to have guidance on what they can and cannot do, especially if they have not run their on business before. But as they gain in confidence they can get frustrated about not having free reign on ‘their business’. A franchise in terms of recruitment agencies would mean that someone could buy the right to open a branch of the agency, under the guidance and regulation of the business owner. Who Wants To Buy a Franchise? People looking to invest in a franchise opportunity tend to be looking for a certain type of business that suits their skills – catering, hotels, recruitment, etc. They then narrow down the potential options by looking at stock quotes, business news publications and talking to experts at franchise events. This means that someone looking for a franchise in, say, a high street catering outlet such as McDonalds or Subway is unlikely to be looking at your recruitment agency as an investment. However, it does mean that people who enquire in your franchise opportunity are likely to be quite suited to and interested in a recruitment agency franchise. While there is plenty of information available for potential franchise businesses, ultimately there is no hard and fast rule about what should be offered as part of a franchise deal. Consequently, it is very important that you establish clear legal documentation for any financial transaction, as you and your franchisees expectation may differ greatly. 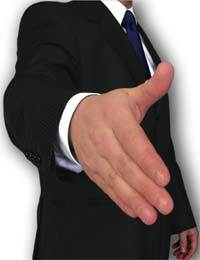 Some legal practices specialise in franchise business negotiation. They advise that the franchise owners draws up a clear document that details exactly what is on offer to and what is expected of the franchisee, so any stocks, business practices or financial agreements are made in advance. Both parties will then read and sign the document before any business has started. This way, the expectations are clear way before any issues arise. Once you have advertised, recruited and agreed terms with your franchisee, you will need to ensure that you act within the details of the signed franchise document. This will usually include information regarding the agreed practices that the franchisee will perform and your role as franchise owner. This will tend to involve training, giving details of clients and group agreements that will be profitable and plenty of time to talk through their experiences in setting up their franchise. What is Your Recruitment Company's USP? I am an Indian Naval person completed 20 yrs in Defence and taken voluntary retirement from service. I am eager to set up my own business which would help our community and myself. I am aiming for a Recruitment agency which would be sufficing need of our countrymen for local and international placement.